A website for buyers of overseas properties says Chinese nationals inquired about US$1.45-billion worth of Canadian properties last year, though interest in Toronto and Vancouver slipped following the introduction of foreign-buyer taxes. China and Hong Kong-based investors will still have a growing desire for Canadian real estate in 2019, predicts Juwai.com, but the increase will be slim compared with the ravenous growth of the past. Juwai.com serves Chinese-language clients who are mainly based in China and Hong Kong and looking to purchase property abroad. The Shanghai-based real estate portal says searches by overseas investors skyrocketed in Calgary and Halifax and jumped in Ottawa and Montreal after buyers veered away from Vancouver and Toronto. The company says their customers had a weak appetite for Canadian real estate in early 2018 compared with the frenetic buying years of 2015 and 2016. So far the fallout from the detention of Meng Wanzhou is not weighing on real estate investors, Juwai.com says. Relations between Ottawa and Beijing have been strained since the Huawei Technologies Co. Ltd. executive was arrested at Vancouver airport in December but Juwai.com clients are not talking about the case, the company says. Juwai.com predicts that searches by Chinese investors for Canadian property will increase about 10 per cent in 2019 compared with 2018. The growth rate will be fairly flat compared with last year when searches increased eight per cent during a year of fluctuating demand. By comparison, searches surged 76.1 per cent in 2015 and 43.4 per cent 2016 before the growth rate flatlined at 1.3 per cent in 2017. Juwai.com chief executive officer Carrie Law says demand dropped precipitously in the first two quarters of 2018 before recovering in the second half of 2018. Ms. Law says enquiries from China for Vancouver properties dipped 2.8 per cent in 2018 from 2017. Toronto fared even worse, with a 10.3 per cent fall during 2018. The provincial government of British Columbia introduced a tax on real estate purchases by non-resident buyers in 2016 and Ontario followed suit in 2017. The B.C. 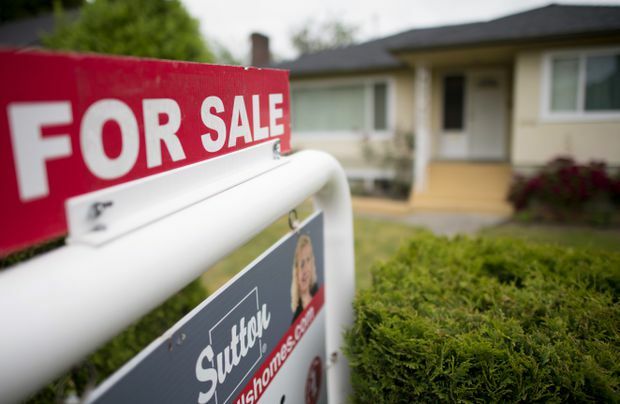 government more recently tacked on what it calls a speculation tax aimed at out-of-province residents who own second homes or vacation properties that are not rented out in B.C.’s urban markets. It also collects an annual surtax that targets owners of properties assessed at more than $3-million in value. “With steep foreign buyer taxes and high prices in Vancouver and Toronto, we have seen an increasing number of Chinese buyers shift to other cities in Canada,” Ms. Law says. In Halifax, Chinese residential real estate enquiries surged an eye-popping 394 per cent. Calgary saw a 234.4-per-cent climb. In Montreal, searches jumped 35.7 per cent in 2018 from 2017. “The Chinese buyer boom in Montreal began earlier and is larger than in other second-tier cities,” Ms. Law says. Ms. Law points out that the growth rates in Calgary and Halifax appear startlingly high because Chinese buying in Calgary and Halifax during 2018 grew from such a low base. But that trend is changing, Ms. Law says, as Chinese buyers seek more affordable homes. while also avoiding high foreign buyer taxes. She adds that developers in these cities are also ramping up their marketing to buyers from China. As for the Meng Wanzhou case, Ms. Law says buyers working with Juwai.com are not mentioning the tension between China and Canada as a concern. She adds, however, that she can’t make a prediction for how the case will impact Chinese buyer interest in Canada later in 2019. Events could poison Chinese attitudes towards Canada, she says, or Beijing could erect new barriers to make travel and investment more difficult. She points to the slowdown in Canadian canola exports as an example. Ms. Law says buyers from China are less interested in purchasing in the United States. An intentional slowdown on visa processing, the uncertainty surrounding the government shutdown and worries about future fallout from the trade war all contribute to the chill, she says. Ms. Law says the main obstacles to buying in Canada are Beijing’s regime of capital controls and the foreign buyer taxes imposed by provinces in this country. She doesn’t believe either of those factors will change significantly in 2019. The appeal of Canadian properties to foreign buyers is a hot topic in the real estate industry because markets have been sputtering across the country and the impact of investment from overseas is so hard to measure. Some neighbourhoods in the Greater Toronto Area, including Markham, Richmond Hill and Willowdale, for example, have seen real estate sales cool as demand from foreign buyers has waned. Those areas also saw prices inflate quickly during the overheated years before the government of Ontario introduced a 15-per-cent tax on purchases by non-resident speculators in 2017. But across the country, higher interest rates and tighter mortgage regulations have weighed far more heavily on demand, most industry watchers agree. Against that backdrop, the Canadian Real Estate Association reported that sales across Canada dropped a sharp 9.1 per cent in February from January. That brings national sales to their lowest level since November, 2012, CREA says. The number of homes trading hands was down from the previous month in three-quarters of local markets, including all major cities. CREA blames the tighter rules surrounding mortgage borrowing that came into effect in January, 2018. The so-called “stress test” has kept many buyers on the sidelines, CREA says. CREA’s benchmark Aggregate Composite MLS Home Price Index edged down 0.1 per cent in February compared with February, 2018. While the dip was small, it marks the first decline in almost a decade, CREA says. The national average price for homes sold in February was $468,350, which is a 5.2 per cent fall from the same month last year. The average price in the Greater Toronto Area rose 2.3 per cent to $767,800 last month compared with February, 2018, according to CREA. Bank of Nova Scotia economist Marc Desormeaux points out that February tends to be one of the weakest months for sales and winter storms were particularly harsh in several cities this year. “We suspect that home buying will rebound in many centres in the coming months amid stable job creation and rising immigration," Mr. Desormeaux says.